Hey guys! I haven’t done a personal post like this or anything really fun on this blog in ages. Ever since semester 2 started, I got so busy that I only really had time for book reviews. So I thought what a better time to start then today. The day before I go to America for the first time. Tomorrow I will be flying off to Seattle for a 2 week long study trip with my school. We will be spending 5 days in Seattle then we will take a bus to Portland and spend 5 days there. While we are there we will be filming, writing and learning more about the American media industry as well as all the sights in the area. And of course we are jam packed with things to do and see and I’m just super super super excited about everything. I’ve never been to America even though it’s the number one thing on my bucket list so you can imagine my excitement when I got told that I would be going to Seattle. 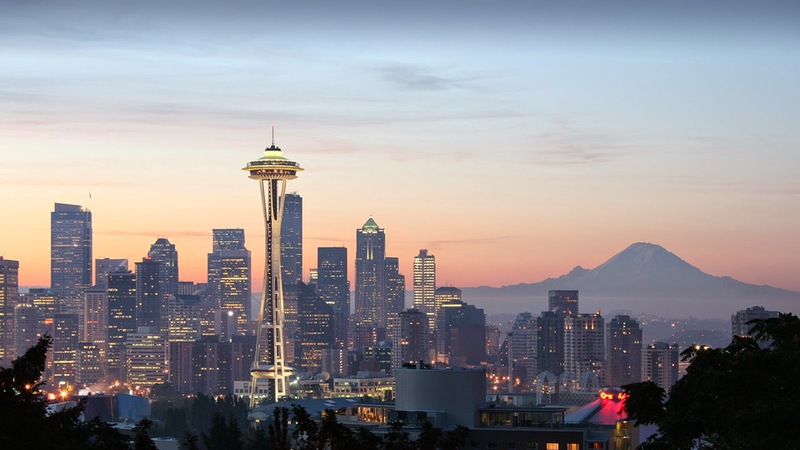 Of course the number one place I want to go is New York but Seattle is just as pretty and cool so I really don’t care. I’m quite nervous too. I want to make sure that I’m dressed well and that I don’t look like a giant puff ball in my jackets. I’m also pretty nervous about the fact that out of the 22 students going, I know only 2 people. That is completely nerve-wracking for me and I’m trying my best to remain calm about that fact. My anxiety is high. I keep getting these bursts of anxiety where I feel like someone is squeezing my heart. At the same time, I also get burst of ‘OMG I’M GOING TO AMERICA!!!”. I’m going to try to blog every day or so while I’m there so you can stay up to date with me but I can’t promise because we will be super busy and also Seattle is 16 hours behind Singapore so that’s quite a crazy time difference. However, I will make sure I somehow immortalise my memories on this blog. Even if it’s only after the trip is over. One is a fifteen-year-old boy with an uncanny ability to recite every bone in the skeletal system whenever he gets anxious ― and that happens a lot. The meaning of “appropriate behaviour” mystifies him: he doesn’t understand most people and they certainly don’t understand him. The other is a graduating senior with the world at her feet. Joining the Best Buddies club at her school and pairing up with a boy with high-functioning autism is the perfect addition to her med school applications. Plus, the president of the club is a rather attractive, if mysterious, added attraction. I’ve always been interested in Autism and other neurological and personality disorders and because of that, I’ve always loved reading books on the subject (okay only fiction books for now). So I was very happy to receive a copy of this book to read and review. 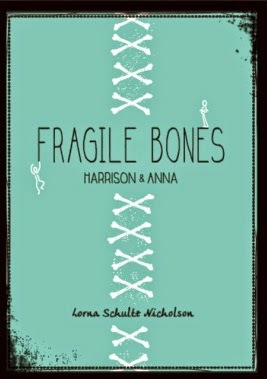 This book follows Harrison, who has autism, and Anna, the girl who befriends him. I really enjoyed this quick and simple read. In fact I cried a bit at some parts. I thought this book was really lovely. In fact, I was originally planning to give it a good old 5 stars. I saw a review that someone else had made on the book. It wasn’t a very good review of the book but I like reading both good and bad reviews of a book especially before I review a book so that I can be objective. So I saw this review and in it, the person mentioned that she didn’t really learn anything new about autism and that everything was told very superficially and that even Harrison’s parts were not as deep as she hoped they would be. That got me thinking. I didn’t learn anything new about autism through this book and yes, it was a very surface level kind of book. While I did feel that I understood people with autism better, I felt like I didn’t get to really know as much as I would have liked from this book. If I saw a boy in the streets walking in circles and flapping his arms, I might be sympathetic but I wouldn’t really understand him very well. Going into a book like this, one would hope to be able to look at that boy on the streets and understand the struggles that he goes through on a deeper level. It felt like Nicholson simply saw this boy and wrote about him with less research then one would expect from a book of this caliber. I also felt like the romance thing was a bit forced. I felt that Justin and Anna could have stayed friends. It might have made the story even more impactful. But instead the love story made the book just a tad cheesy. Just a tad. Overall, this was a great read however if you are hoping to learn a great deal more about autism, maybe this book won’t be for you. However I urge everyone to pick up this book because as surface as it is, it does help us empathise with someone who has a neurological disability and I think everyone needs to be aware of how they can help and how they can contribute to making a disabled person’s life just a tad easier. While stopping at a crowded rest area one summer night, seventeen-year-old Addie accidentally catches a truck hijacking in progress. Desperate to rid the crime of its only witness, one of the thieves kidnaps Addie. Now, forced on board a cargo ship in the middle of the ocean, Addie finds herself surrounded by international smugglers who want nothing more than to throw her overboard. It honestly pains me to write this review. I’ve read two of Amanda Lance’s books in the past. I read ‘The Dark Road’ and ‘Breakdown’. I absolutely adored those two books. In fact, ‘Breakdown’ is one of my favourites. So I expected nothing short of wonderful with ‘Wanted’. Unfortunately I was sorely mistaken. I have always been intrigued by Stockholm’s Syndrome but I’m aware that it can be a very tricky topic to write about and therefore I rarely read books on the subject. When writing fiction on this topic, one has to be careful not to turn their book into something that reads like fan fiction or an erotica (considering that it was not their original intent). From the very first chapter, I was shaking my head. This book was awful. She started falling for her captor mere hours after she was abducted. I mean if it were me, I would still be fighting the shock of being freaking kidnapped! I would be thinking of my poor dad who was probably walking around the gas station frantically looking for me rather then how pretty my kidnapper’s eyes are. Good grief! I mean there was no build up whatsoever! She just falls in love with him. There was no iota of forbidden love or whatever. No sense of the fact that what she was doing was wrong. Nothing. Nada. And then okay, she finds herself on a ship on the way to Singapore. Okay. What does she do? She doesn’t think about escaping or stealing a phone to call for help. No no. She decides to befriend her captors, cook for them, and spend her days cuddling with her main kidnapper, Charlie. I mean what. Excuse me have you forgotten your poor father, brother, hometown and entire police crew who are all frantically trying to find you?? She is infuriating. And then what happens? She gets into a fight with Charlie. So in the rain, she crawls to the bottom of the boat and nearly kills herself because she’s curled up and pretty much frozen there for ages. When Charlie inevitably saves her, instead of thinking about how she could have died or how much danger she was in, she thinks about how her fight with Charlie upset her and how much she loves him. UGH! I’m sorry but this book was so crap. I felt like I was reading some tween girl’s fan fiction. If I wanted to read horribly developed fan fiction, I would have gone to Wattpad. Such a disappointment from an author that I truly like. Let’s start with the good points for this one. This book was well written. The author had a lovely style that drew you in and kept you wanting to read. The storyline was also really good. A little bit unbelievable at points and a little over dramatic but it was good. I laughed and I cried through the book. The parts with Alex and Faith made me feel mushy inside(Almost like I was reading fan fiction). I felt angry on her behalf at her slightly crazy parents. Now, on to the bad points which may be a little spoilery. I found Faith’s first suicide attempt to be very abrupt and quite frankly very weird. In the book, Faith gets bullied for wearing clothes that people deem to be too conservative. So she goes through that. But then she also mentions that she doesn’t really care what people think and that apparently she was also known for her fashion sense. That’s very weird and if she had such mixed feelings about that, why was she all of a sudden, randomly drawn to try to shove a handful of pills down her throat? Also, I would hardly refer to the mild comments made by her peers ‘relentless tormenting’. I used to be bullied. I know what relentless tormenting is and let me tell you, this is not it. Then there was the fact that the writing was somewhat pretentious and overly dramatic. I felt like the author made certain parts much more dramatic and unbelievable then they had to be. In fact, Faith’s second suicide was almost just as all over the place as the first. I understand that what she was going through in that instance was too much for her but come on. Give me a break. If you take away the bad points, this book is good. I mean it has a good storyline and its captivating. It makes you feel all the emotions. It’s an okay book. Hi guys! 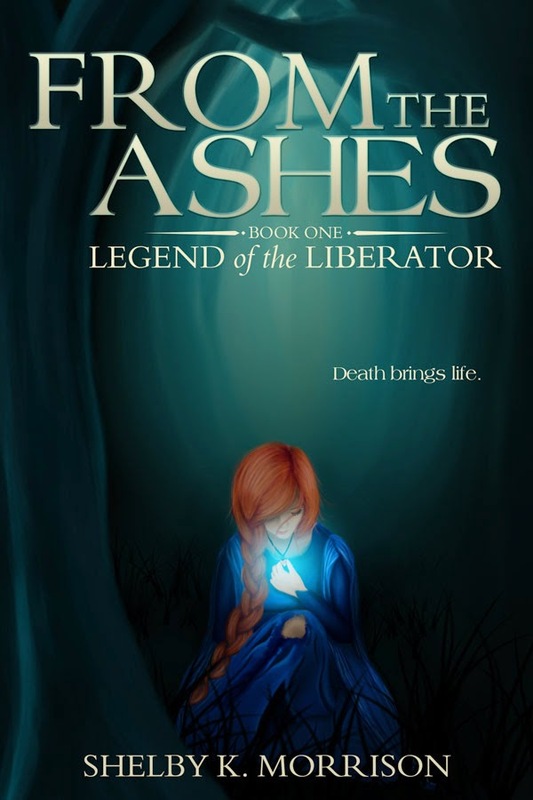 Today I’m very pleased to be able to bring to you the official cover of Shelby Morrison’s new book, ‘From The Ashes: Legend of the Liberator’ as well as a summary and the first two chapters from the book. For eighteen years Aia Wynnald has lived a lie. Raised as a highborn in the Kingdom of Tharien, she’s filled her days with tutors and archery lessons. But simmering beneath her polite surface is a dangerous gift, one which she must keep a secret. Aia is a Bender. And in Tharien, Benders are feared and hunted. When her unruly power breaks free with dire repercussions, Aia’s lifelong goal of independence shatters. As she scrambles to piece her life back together while evading capture, she disturbs a vengeful force intent on destroying the kingdom. I think the cover is absolutely gorgeous. And if this pretty cover and summary aren’t enough to make you want to get your hands on it, here are the first two chapters from the book. Enjoy! Aia’s heart slammed against her ribs, her chest heaving. She sprinted down the narrow cobblestone streets, tugging at her silk dress when it tangled with her legs. She replayed the final five minutes of her former life. The log hitting Damon. The blood. His smile. What had she done? She’d ruined everything. The evening air nipped at her cheeks, and the coins her mother had slipped into her coin purse clinked loudly in the still city. The blood-red sunset dared her to continue. Shouting echoed in the distance. Someone had alerted the Breakers. They’d come for her. They’d be merciless. She took the stone steps two at a time, her dress nearly tripping her again. Her steps pattered in the silence as she crossed the bridge connecting the base of Mt. Shadow to the rest of the kingdom. Farther and farther her legs carried her—from her home, the Church, the palace. But it didn’t matter how far she ran. They’d pursue her. She threw a glance over her shoulder. The palace built into the mountain loomed above her, just as menacing, despite the distance. She couldn’t outrun it. Couldn’t outrun them. The end of the bridge signaled her entry into Midtown, even worse than Hightown for someone evading capture. Houses towered over her, and dozens of windows like little black eyes dotted the sides. She pressed on. She had to get off the street, away from the city. But where to run? Where would they not search for her? The Ashen Wood. No one went into the Ashen Wood. Her wretched dress bunched between her legs and she stumbled to the cobblestones. After a hasty peek at the road behind her, she scrambled to her feet and continued. Hooves hammered against the cobblestones in the distance. They were coming. She dashed between houses like an alley cat, the Red Plains at the edge of the city in sight. Almost there. She increased her speed, thrashing through the thick weeds, despising her dress and its clinging folds. The endless field stretched before her, but she didn’t let up. She yearned for her beloved longbow and the security it offered. But she’d had no time to grab it before her parents shoved her from her home. On and on she ran, her legs jelly. The stars had emerged in the indigo ceiling by the time she reached the edge of the legendary forest. She struggled to slow her breathing, swallowing with difficulty, as she peered between flaky, ash-covered trees, searching for a path, a place to conceal herself. It was hopeless. She could only see a few trees in. She looked over her shoulder at the city. Her home. Her life of security. Candles appeared in windows, lit one by one, and the orange glow of torch-bearing Breakers illuminated the sides of buildings. Word was spreading. Hands shaking, heart thumping, she took a step into the forest. As if an invisible wall closed behind her, the outside world disappeared. No crickets singing. No city noises and shouts of pursuit. No whispering wind. Nothing but the forest. Her lifelong secret had been revealed. Maia Wynnald was a Bender. 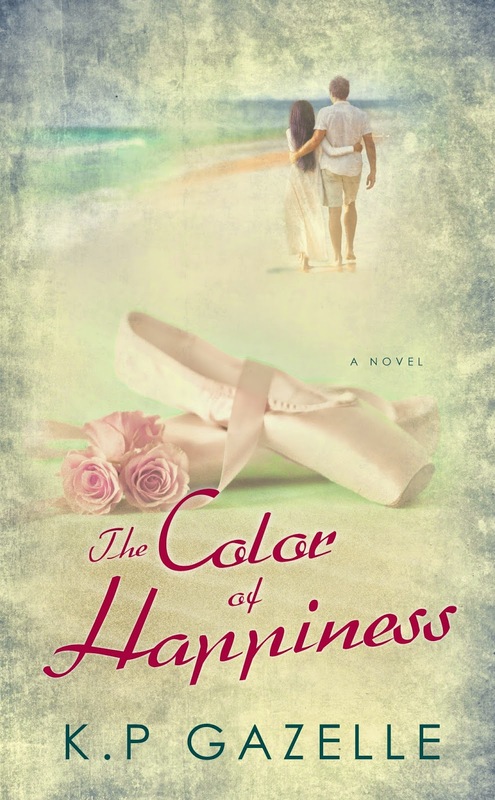 Cole Balain sat crammed among his peers on a skinny wooden bench. Sweat trickled down his neck while the Church filled with more observers. Alabaster stone sculptures marked each corner of the vast hall, harmonizing with the white stone walls. A vaulted, ribbed ceiling stretched deceitfully into the heavens, stained-glass windows spanning both sides. In the daylight, colors spilled through to offer undeserved comfort to people who thronged with bright faces to enjoy watching the will of Mighty be carried out. Cole alone was sick about it. Sick in body. Sick to his soul. But tonight the bloated room glowed with a different, misplaced comfort. One central flame illuminated the otherwise dim hall. A massive porcelain crucible held stark white, crackling flames, which stretched higher and burned brighter than normal fire. A fire that had one purpose. To Cleanse a Bender. In front of the flames stood the woman he’d handed over not an hour ago; her hands bound behind her. She was trembling, and tears streamed down her pink cheeks. Her tattered brown dress indicated her rank as lowborn, and she was perhaps in her thirtieth year. Cole had witnessed it all dozens of times, and his stomach churned the same way every time. Two Purifiers, a couple, clad in their sanctimonious ivory robes, stood before the woman. The man had the Book of Salvation in his open hands. He’d finished reading the famous passage, granting her soul safe transition to heaven. It was supposedly an honorable duty, passed down through family lines. But they weren’t the only ones responsible. This Bender would die because of him. An adult Bender. Rare. She offered a glimmer of hope for their kind. It meant she’d managed to survive, have a life, possibly children. Benders were still far from extinct. Finding an adult meant more were out there. Most families turned their children in for Cleansing at the first sign of the gift, following the law. A few hid them. Then some managed to reach adulthood without being discovered. This poor soul had remained hidden, hadn’t hurt anyone, had blended in with her neighbors. But when a suspicious neighbor jealous of another woman’s apple pie recipe claims she knows a Bender, the Breakers must investigate. As they did for every absurd reason. Still, no test existed to identify a Bender. Actual Bending or running from Breakers typically sealed their fate, and this woman had run. Cole had no choice but to pursue. She hadn’t struggled, hadn’t pleaded for her life or tried to Bend her way to freedom. She’d accepted her fate. Cole hunched over his linked fingers, elbows resting on his knees, his gaze burning into the woman’s, refusing to permit himself to look away. He forced himself to observe every moment of the consequences of his actions. She didn’t need to die. She could have chosen a Draining, which would have relieved her of her gift but also would have left her a fraction of who she had been. He wasn’t sure which was more horrifying to watch. Beside the oversized basin of fire towered a wooden contraption of pulleys and rope. Surely there were easier ways to go about this, without the use of such ridiculous gear. But, like the white walls and tall ceilings, it was more symbolic than actually useful. This was a show for the Church, a grand performance, and every prop enhanced the theatrics. The Bender finished repeating the scripture through trembling lips. The male Purifier secured a strip of fabric across her eyes, which made the victim whimper more, the sound shredding Cole’s insides. How kind of them to blindfold her before they tortured her. Who was the blindfold for? The Bender, to prevent her from seeing the fire and panicking? Or the audience and the Purifiers, so they might sleep soundly that night, having avoided seeing the woman’s terrified eyes? The Church expected Benders to choose what they deemed the reprieve of Cleansing. To relieve them of their burden. In the ten years he’d been a Breaker, only twice had a Bender been eager to be Cleansed. Despicable. Yet he understood their choice since the alternative was living a life of anxiety. The torment of sitting through this ritual never eased. Not that there were many since the war two thousand years ago. Benders had to be out there somewhere, more than the few they’d captured. The Emperor prided himself on hounding them to extinction, as each Emperor before him had, but it wasn’t possible. It wasn’t a trait that could be weeded out, and even the people knew that. Still, the deep-seated fear plaguing the kingdom had roots so deep daily accusations flew like pigeons. The terrified expressions of every Bender he’d watched die would haunt him forever. He massaged the crystals in the pouch on his hip. Their rough, uneven shapes and edges had been made smooth over time from his constant rubbing to calm himself. He blinked, the fire stinging his steadfast eyes. Something kicked the back of his bench. Lenz smirked his approval through his sandy beard; his blond, dingy hair hung in his malicious eyes and down his neck, curling behind his ears. Not everyone felt the same about the proceedings as Cole did. “What a glorious capture, Lieutenant.” Quinn, sitting beside Lenz, offered his usual artificial smile, his shaved head giving him the appearance of a plucked chicken. A brawny, angry plucked chicken. Cole offered a simple nod and turned back to face the consequences of his actions. Yes, good job. Another one he couldn’t save. Their praise jabbed him like insults. The contraption’s mechanisms moved, the cogs turned, the pulleys squeaked. It lifted the woman up and over the bowl of ghastly flames. Its squeaking echoed in the hollow cathedral as it lowered the woman into the fire. Her screams echoed around the gargantuan room. Parents encouraged their children to watch, and some children wiggled eagerly in their seats. The flames licked at her peasant dress. Her screams turned back into whimpers and sobs, confirming the Purifier’s explanation. Her pleas filled Cole’s ears, blocking out any other sounds as if he were underwater. Cole continued to rub the stones, his eyes never leaving the woman, despite his profound desire to escape her anguish. This stood as his penance. His heart sank as the blindfold slipped down the woman’s face. Her eyes darted about in terror, desperation. She stared into the flames lapping at her feet. The fire accepted her, its fingers pulling her inside as the contraption lowered her to be fully consumed. The Kaz fire transformed from traditional flames to smoke-like tendrils, churning around her like a snake, her terrified face becoming obscured by a white veil until it enveloped her in the cyclone. Cole broke his stare briefly to observe his peers. Some leaned forward in their seats, eager to witness the evil leach out of her. Others sat back with pursed lips; satisfied. A couple of new recruits appeared to be struggling between enthusiasm and nausea. He turned his focus again to the terror before him, rolling the two stones in his pouch. A whistling sound reverberated through the obnoxious room while the smoke thrust into her nostrils and mouth until it disappeared. Gasps echoed from first-time audience members. The smoke remained inside the woman until her eyes rolled back and her head dropped and hung limp. A sigh-like whisper swept the room. The once-white smoke oozed black as coal from her lips, nose, and ears. It flowed and bubbled out of her, evaporating before it hit the floor. It was over. “Another soul has been Cleansed and accepted by our glorious Mighty.” The female Purifier wiped a tear and hugged her spouse. A few people cheered. Cole clenched his rocks, digging them into his palms to suppress the urge to turn around and deck Lenz, who whooped and hollered while encouraging a few newbies to do the same. Quinn would always remain silent but with a contented smile. Cole wasn’t sure which annoyed him more. He remained seated while the torches along the walls were re-lit. They restored the usual orange glow but didn’t eliminate any of the horror embedded in the walls, columns, and vaulted ceilings from years of publicly-celebrated torment. Just as abhorrent. The audience stood, making their way from the Church and back home or back to whatever duties had been set aside. Breakers wearing the same black leather tunics and gold belt Cole wore headed for the palace and the Breakers’ Corridors. Cole made his way from the pews, the clenching of his gut refusing to let up. Commander Endrin stopped him with a hand on his shoulder, as he did after every Cleansing or Draining. Cole offered a brisk nod to his hulking superior and continued toward the door while the Emperor approached the commander. Emperor Stephan, King of Tharien and Emperor of Dyel. As feared as he was respected. At times, Cole couldn’t be sure who ran Dyel, the Church or the Emperor. Before Cole was too far away to hear, the Emperor’s words reached him. A fire spread through Cole’s veins, and he tightened his grip on his stones. This was nothing new. If a Bender hadn’t caused a stir themselves, Emperor Stephan was sure to order it done. The Emperor could always be counted on to assure tax monies continued to pour into his coffers, whatever it took. “Yes, sir.” Commander Endrin bowed. Cole once again headed for the exit, eager to escape this temple of death. Before he’d slipped through the doors, a young man, around his fifteenth year, burst through. Cole felt gutted. Another one had been identified. So soon. Would she be worth saving?